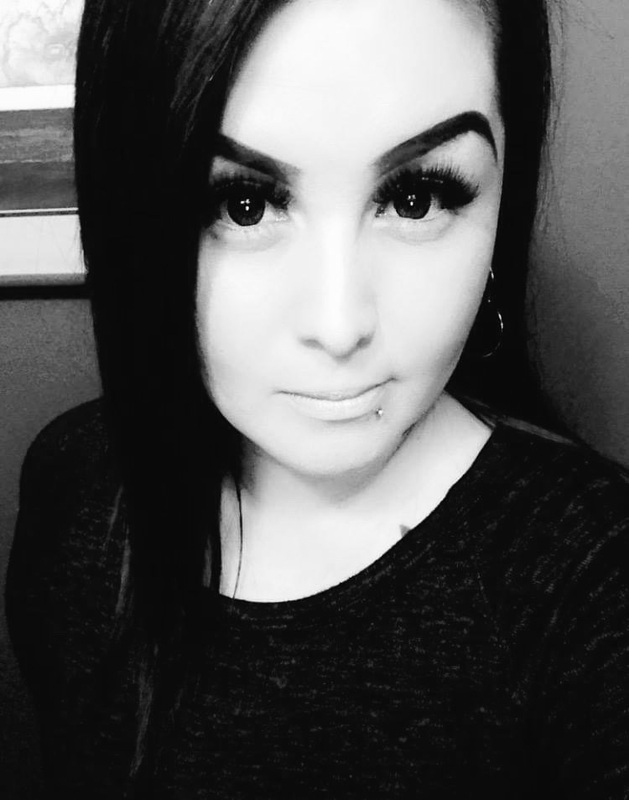 Poets and poetry lovers who live in Central Washington State will find these pages informative. 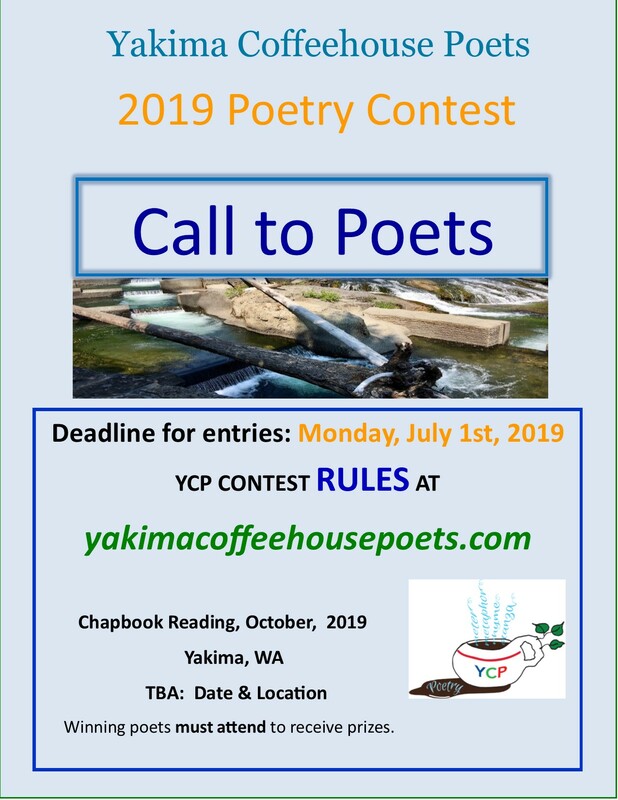 The Yakima Coffeehouse Poets is a registerered Washington State nonprofit corporation formed in 2014 to represent the interests of poets and poetry lovers of Central Washington. Central Washington, roughly speaking, is bound by the Columbia River to the east and south, the Cascades Crest on the west, and the Wenatchee River on the north. If you live or work in this area, or have roots here, you are eligible to participate in our annual poetry contest and to read at our regular Open Mic Night events. Original poetry only, please! parking lot next to Parker Field, east of Larson Gallery. If you live outside Central Washington, we invite you to enjoy the poetry published on our website. If you are visiting Yakima, our home base, you are welcome to attend and read at our Open Mic Nights which are held at 7 p.m., the second Wednesday (new night) of the month September through May. This year we are located at a new meeting place — the Larson Gallery, on the YVCC Campus, corner of W. Nob Hill Blvd & 16th Ave, Yakima. 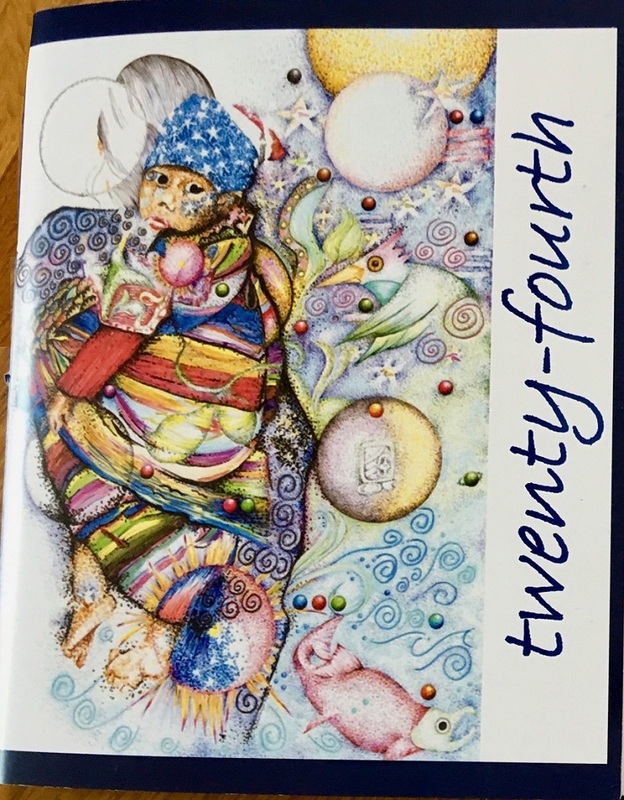 Our goal with the poems in the anthology, Twentieth, is to draw out more Central Washington poets and give courage to those who have more poems to offer for the future. These poems represent the best of the past 19 years and include all the poets whose permission could be gained. You’ll notice that some poets have several poems because they won our annual contest several times. Visit our Publications page to see examples of our local talent. You can also Contact Us to order your own copy of available chapbooks. October 15, 2015 was our first local Poetry Contest reading and chapbook poems held at our then new home in the Backroom of The Seasons of Yakima.Our most recent Contest Readings were held in the Unitarian Church‘s main Sanctuary. A gracious Thank-you for all that contributed to this wonderful event. 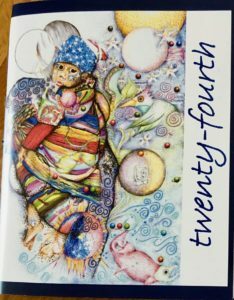 You can read samples of the Twenty-first, through Twenty-fourth poems from their respective Publications page. All rights reserved - Yakima Coffeehouse Poets. Information subject to change without notice. 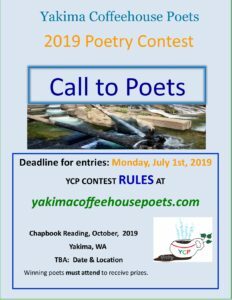 All images and poems on this site are protected by copyright laws and the property of Yakima Coffeehouse Poets and/or the author.